Can Toronto Turn NXNE Into The New SXSW? The festival has become a vessel through which local artists and citizens can express cultural and civic concerns. Much like the rest of North America, Toronto’s festival scene has exploded within the last five to 10 years. The first weekend of June, devotees of local label Arts & Crafts held down Field Trip, a two-day, family-friendly fest headlined by My Morning Jacket and the Alabama Shakes. Torontonians Owen Pallett and Alessia Cara opened for Florence & The Machine and Nas at Bestival, a British import that took over the Toronto Islands this past weekend. Later this month is Digital Dreams, the largest electronic music festival in Canada, to be followed by August’s EDM-centric VELD. Then there’s the Rockstar Mayhem Festival, Bonnaroo offshoot Way Home (taking place in parkland a short drive north of the city), and Drake’s OVO Fest, amongst others. This weekend, Unsound, Kraków’s boutique future sounds festival, will make a guest appearance in the city, but it’s the homegrown North by Northeast (NXNE), which kicked off on Thursday, that is Toronto’s most intensely curated—and hotly debated—showcase. Every June for the past 20 years, Toronto’s numerous clubs and bars have played host to NXNE’s mix of local bands and international acts. In the beginning that mix was more geared to the former, and largely DIY and indie rock in sound. Today it’s a multi-sponsor-backed, genre-spanning behemoth worth approximately $50 million in economic impact for Canada’s second city. This puts it closer to fiscal power players like Caribana or Pride, annual events with international renown that generate hundreds of millions for the city every year. (By contrast, NXNE’s local competitor, Canadian Music Week, which takes place in early May, has a footprint of just under $10 million.) SXSW is both an inspiration and minority partner for NXNE, which means they have an advisory stake in their Canadian counterpart. And as it grows into an entity that can rival SXSW in terms of corporate and consumer desirability, NXNE has also become a vessel through which local artists and citizens can express cultural and civic concerns. “In the early years there was so much focus on people playing Northby and hoping to get a label deal,” says Michael Hollett, president, executive director and co-founder of NXNE. He also co-owns and publishes NOW Magazine, the city’s last standing alt-weekly and a title sponsor of NXNE. “Now it’s become imperative that bands are playing for the audiences rather than the A&R guy in the corner. 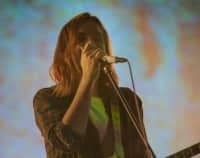 There is a shift in the purpose of the showcases.” As festivals compete for ticket sales, NXNE has conscientiously booked artists who are making noise but haven’t yet reached critical mass, or aren’t getting booked by local promoters. Last year it was Kelela, Future Islands and Pusha-T; this year it’s Glass Animals, Willow Smith and Rae Sremmurd. Like most ventures that experience exponential growth, as NXNE evolves to become the largest multi-genre festival in Toronto and attendance multiplies, it’s come increasingly under fire. Online commentary ranges from disdain over bloating ticket prices, increased brand visibility, and a perceived lack of support for local artists. 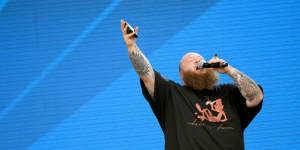 And there are broader conversations: last year a terse debate surfaced over a 45-day radius clause which would disproportionately impact bookings for Toronto musicians, and this year thousands signed a petition to remove headliner Action Bronson from playing a free, public show on City-owned property on the grounds of hate speech. In both cases, NXNE acquiesced by agreeing to negotiate performance clauses with local artists, and removing Bronson from the public showcase. 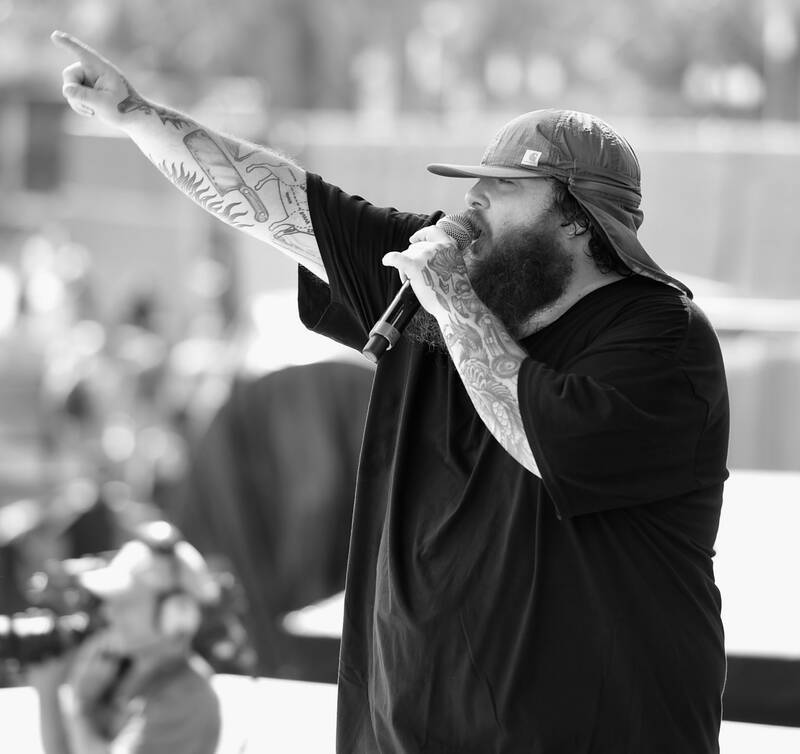 Historically, Northby has relented to the local music scene and its advocates, although sometimes, like with the decision to relocate Action Bronson’s performance to a private venue, it’s begrudgingly. “We’ve never been petitioned [about an artist] in the history of the festival. We’re not happy to do this,” says Hollett. “But we are accepting the notion that because it’s a public place there are sensitivities we have to respond to.” Polaris Prize-nominated rapper Shad, the new host of CBC Radio’s flagship program, Q, will now headline instead. Bronson, whom Hollett notes “is very hurt by all of this,” declined the offer to move his show to a private venue and will not come to Toronto for the fest. The upside to cool bookings and the controversy is that more eyes are watching Toronto’s music scene than ever before. Two years ago, Boiler Room finally put Toronto on its map with an unofficial rap-centric broadcast that took place NXNE week. Last year, VICE threw a rager headlined by Pusha T and Future Islands, accessible only by boat, on the Toronto Islands. This year U.S. publications including The FADER and Pitchfork will present high-profile showcases alongside Canadian media entities like MUCH, while locals like Jazz Cartier, Bizzarh, Majical Cloudz, and Allie will open for big name, out-of-town headliners like Rae Sremmurd, Willow Smith, and Tink at a variety of events. Both music fans and musicians want to be affiliated with taste-making mainstream publications; and in the case of the latter, it’s a crucial co-sign from outside of the Toronto bubble. The outside interest has locals both flattered and shook, a typically Torontonian reaction. We’re used to being in the shadow of America and pleased, though a little dazed, to be in the light. As Toronto joins the ranks of world-class cities linked by corporatized monoculture, NXNE, positioned as a hyperlocal solution to the monotony of the festival circuit, is a bit of an ideological battleground for the city’s identity. The culture industry is smaller here, and though the internet has flattened access to opportunity, there are still fewer opportunities for musicians and creatives to make it. When Drake rapped Muhfuckas never loved us he was talking about Toronto. It’s a conservative city and it’s not uncommon to read about promoters and bar owners blocked by bureaucrats over zoning, licensing and noise concerns. “[NXNE has] educated the City of Toronto on the fact that there’s a live music scene here and that it creates jobs,” says Hollett. “It’s getting them to understand, ‘You’ve got to stop fighting music in this city,’ and not because it’s a nice thing to do but because it makes money and creates jobs and supports artists.’” In 2013, the City developed a Music City Alliance with Austin centered around boosting tourism dollars to both cities by promoting music. Whether concerned Torontonians agree with the way Northby operates, the festival continuously stokes really vital conversations about arts workers and live music culture. As for the programming, Hollett suggests that diversifying by bringing in big names is akin to a survival tactic. St. Vincent, The Flaming Lips, Juicy J, and more have all played free, public shows that essentially shut down the streets surrounding Toronto’s Yonge-Dundas Square. “There was a time when people were like, ‘What are you doing bringing in Iggy and the Stooges,?’” says Hollett. “But if you bring them in everyone’s paying attention and they’ll see your band too.” It’s the right move for a rapidly growing city: a 2013 study found that the number of 19 to 39-year-olds in Toronto’s downtown core grew by 16 percent over seven years.